Ming Fai International Holdings Ltd. is an international enterprise dedicated to provide customers with exceptional services, as well as carrying a comprehensive lineup of internationally renowned brands. Over 28 years of operations in the PRC, Ming Fai Group supplies quality products to internationally recognized hotel, airline, hospitality and personal care industries and was successfully listed on the main board of the Hong Kong Stock Exchange (HKSE: 3828) in November of 2007; becoming the first hotel amenities supplier to go public in the PRC region. Ming Fai Group strives to improve and enhance the qualities of our products and strengthens the position as a one-stop integrated quality amenity products supplier. Ming Fai International Holdings Ltd. is an international enterprise dedicated to provide customers with exceptional services, as well as carrying a comprehensive lineup of internationally renowned brands. Our sales service network extends throughout the Asia Pacific region including our headquarter in Hong Kong and additional branch offices in Shenzhen, Beijing, Shanghai, Dalian, Wuhan, Chongqing, Xi’an, Singapore, Malaysia, Australia and India, as well as sales offices in Sanya, Xiamen, Changsha, Zhengzhou, Shenyang, Qingdao, Chengdu, and extensive logistics network. Ming Fai Group will continue to put great efforts to maintain our current business relationships and always welcome new business opportunities while providing the utmost quality and service to our customers and strive to find more innovative ways to serve our customers better. Our main production facility at Pinghu, Shenzhen; comprises of over 1.3 million Sq ft, produces majority of the products and established an advanced chemical and microbiological laboratory which is responsible for product formulation and testings to customize and ensure the qualities of our products. Our lab is well equipped with top tier equipment from Germany and Japan, such as infra-red spectrum, gas chromatography, high performance liquid chromatography and much more. We established another factory in 2006, located in Luoding, Guangdong province. It occupies approximately 12,401 sq m, specializing in producing hotel accessory products. In anticipation of business growth, we established "Ming Fai Innovative & Development Skin Care Lab" in Hong Kong; the first company to attain ISO 22716:2007 certification in Hong Kong, dedicating to manufacture quality cosmetics products. Ming Fai continues to innovate, improve our manufacture capabilities and technologies, and is well equipped with centrifugal machine and purifying water system imported from Germany to enhance our development in skin care and bath and body care products. 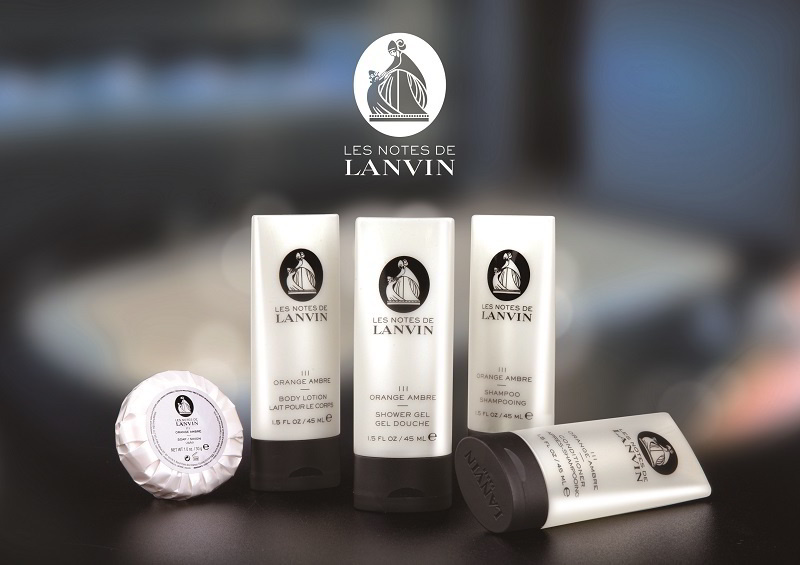 Apart from body care products, Ming Fai Group has increased its lineup of products, striving to offer our hotel customers with the total solution. In 2014, Ming Fai Group constructed a two four-storey centre of comprehensive hotel products to provide a total hotel product solution services to our customers. Ming Fai product offerings extends through the entire hotel operation with catering utensils, kitchenware, furniture, room electrical appliance, room supplies, front desk items, property PA cleaning tools, washing equipment and much more hotel supplies as required by our customers. Furthermore, we diversified our product and service offerings by establishing another subsidiary company called "Changshu Ming Fai Travel Products Co. Ltd.", providing laundry service to hotels. It is well equipped with modern technology and purified water system to minimize the pollutions caused to the environment and complied with international standards. With the operations started in Changshu Ming Fai, we took one step closer to provide a "one-stop service" to our customers in Shanghai. Ming Fai has horizontally diversified the business and stepped our foothold in the retail business and developed a brand specializing in bath and body care products, named "everyBody Labo". "everyBody Labo" can now be found in Harvey Nichols and Mannings retail outlets across Hong Kong. Furthermore on September 2010, Ming Fai Group successfully acquired with"Mingfai7magic", one of the leading young and casual female cosmetic and accessories retailers with over 1000 retail shops across China. Playful, feminine aesthetic make it a preferred and popular brand amongst teenagers, students and working class females. We believe that the provision of environmentally-friendly amenity products caters for the generally increasing concerns and social responsibilities for environmental production. We think beyond and apply biodegradable additives to our products such as ECO PURE, PCR materials, PSM etc, which are less harmful and degrade faster in a landfill. This demonstrates our commitment to providing safe products and enhances the corporate images of ourselves, our customers and end-user groups. Dedicated, experienced and trusted management team and staffs at Ming Fai will offer you the best service and experience!